Many people in eastern countries like (India, Pakistan, Indonesia, Korea, etc.) complain about the sun tanned skin especially in the summer. After getting a sun tan, it is not easy to back your normal skin color. If you little care then it can be easily done. There are many skin lightening products in the market but instead of these product I am sharing you one natural solution. You just follow it on regular basis only for one or two weeks. Take 1 tbsp yogurt and 2 or 3 pinch of turmeric powder and mix them to make a paste. 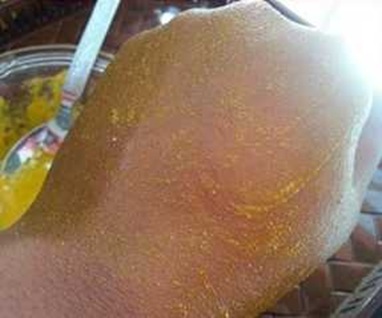 Apply it on your hands and leave it for at least 15 to 20 minutes. After 20 minutes, wash your hands with cold water. 1. Before you go, just apply any suitable sunscreen on your hands. 2. Temporary cover your hands with full sleeve.